Breast Cancer Day – Parow: On 28 October 2015, Zone Parow joined The City of Cape Town for a fun and educational day. We had nurses from the Parow area to educate us on breast cancer, HIV/Aids, as well as STIs. They also did body assessments for everybody. 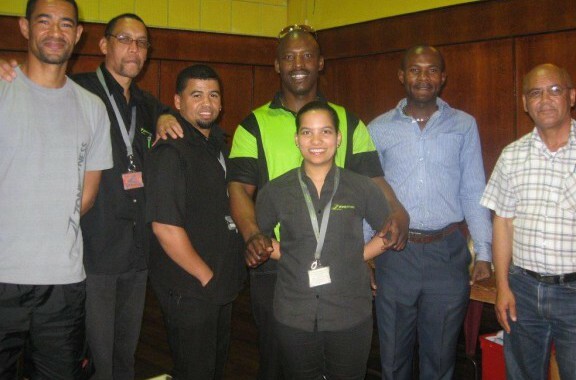 Zone Parow’s own Vernon Charles (in-house Personal Trainer) stepped up and educated the room on the importance of exercise. We did a simple step test and educated the room on how to check their heart rate and also what their bpm should be. He then showed them some fun exercises which they can do at the office at their desks. They really enjoyed it!